In this article, we discuss an Outlook error that reads ‘Outlook file cannot be previewed as no previewer is installed’. If you are someone facing this error, this article will help you understand why it occurs and solutions to resolve the same. ‘Outlook file cannot be previewed’ error is known to occur normally when you open an attachment in an Outlook email. For instance, it is common when you open an Excel workbook that is attached to an Outlook email. The main reason for this error is due to incorrect registry settings related to the Excel previewer. Now, before we move onto the solutions to solve this error, first we check if you have an MSI or Click-to-Run installation of Outlook (explained below in Step 1). If you don’t see ‘Office Updates’ in the product information section, you have an MSI based installation. Once you have identified what kind of installation you have, proceed to the solution below in Step 2. Note: The solution involves modifying registry values, so be extra cautious before proceeding as even a small error can cause serious problems. The error ‘Outlook file cannot be previewed as no previewer is installed’ can generally be resolved by modifying registry values. However, there are other errors in Outlook that may cause problems such as frequent freezes or problems with sending/receiving emails etc. In order to resolve such errors, you will need to repair the associated PST file. Remo Repair Outlook (PST) is a great tool to repair corruption in PST files. 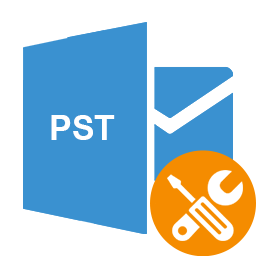 The advantage of using this software is that it is a dedicated PST repair tool that can repair all kinds of corruption issues. Secondly, it works on a read only mechanism, so your original PST file is not altered during the repair process. This software works with all recent versions of Outlook and Windows, so you can use it worrying about compatibility. The trial version of Remo Repair PST is available for free, download and try it out today!